A regional daily is proposing to axe its long-serving arts editor – sparking dismay among the local arts community. 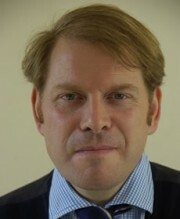 Charles Hutchinson, pictured, has worked at the York Press for the past 29 years, most of them as the paper’s arts editor. Now his role is one of two under threat at the Newsquest-owned title along with that of a multimedia content editor. The proposed redundancies are the latest in a series of editorial cutbacks at Newsquest titles over the past week including four in Gloucestershire, four in Darlington centre and eight in West Yorkshire. Newsquest has defended the proposed cuts on the grounds that it will enable them to safeguard front-line reporting roles. A spokesman said: “We continue to look for ways to run our business more efficiently in order to ensure that our titles have a sustainable cost structure for the future. “Due to advancements in technology, efficiency savings are being proposed with the potential loss of a content management role in York, as well as an arts editor role. However the decision to axe the arts editor role has led to a furious backlash in York’s thriving cultural sector. “Charles has made a massive contribution to both the York and regional arts scene. He is a thoroughly cultural, intelligent observer of the arts,” he said. Jo Hird, publicity officer for Pick Me Up Theatre, said: “I was really sad to hear this and deeply disappointed as Charles has always been such a great supporter of live theatre and performance in York. “I’m seriously worried about the standard of arts coverage in our city going forward. Charles knows his stuff and would have been very hard to replace. I note one doesn’t have to scroll down too far before the words ‘Newsquest-owned title’ appear. Sounds like the sort of journalist any newspaper would be proud to have on their staff. Perhaps give the Yorkshire Post a ring Mr Hutchinson? NQ starting this week as they left off last week announcing more ‘locally decided’ redundancies. They must have an ill conceived plan of filtering them through one day at a time in the vain hope of no one noticing the large number of staff being laid off just before Christmas as part of what is obviously a company wide brief of job cuts. Just out of interest, can anyone explain what “advancements in technology” make the role of an arts editor dispensable? So these ‘savings’ will ‘enable them to safeguard front-line reporting roles’. Er, roles presumably like mine. I have reviewed for the Press for over twenty years. They now pay me nothing. This testifies to how much they value my work and the arts in York. ‘Front-line reporting…’ what a joke! My sympathies to Charles. Been there done that…31 years of loyal service before Trinity showed me the door. It may be a small point, but it seems to add insult to injury to describe such cutbacks as ‘efficiency savings’. What does that even mean…that the paper will be more efficient after it saves itself the bother of paying that person’s salary? Bosses swinging the axe should at least have the decency to call it what it is instead of hiding behind cowardly euphemisms. *warning: the CultureBot 4000 cannot yet comprehend surrealism, art house cinema or dubstep. Exposure to the above may cause overheating, injury or death. And what pray may that sustainable structure be? Faced with alarmingly falling circulations, moribund print advertising revenue and web sites that are consistently failing to bring home enough revenue to plug the gap, my guess would be that we are a long way from Newsquest’s goal. Much as I can sympathise with Charles – many of us have been in his position over the years – I cannot see how making an Arts Editor redundant is going to make any difference one way or the other. Given another four or five Christmases the only cuts left to Newsquest et al will focus very firmly on their own throats. I once freelanced for 2 papers who even stopped paying the 8p a line payment for parish pump style news. If papers can’t/won’t afford those payments then they may as well pack their bags. Did not amount to much but paid for a few beers/wine here and then – but above all it is the principle of the matter. Been reading 1/2 books about old Fleet Street where I ended up. We thought we weren’t overpaid but for many young journos today the sums must be eye watering. After 32 years at Newsquest, now on the scrap heap. DWP money doesn’t pay the mortgage or the bills. Perhaps we should set up a Go Fund Us page. I hope the bosses are happy,The worry is making us both ill. Ideally the best idea is for all of us to never apply for a NQ job as it will only lead to likely heartache. Boycott? Trouble is there will always be very keen youngsters prepared to take these risky low pay jobs as they start out. Glad I worked in happier times.